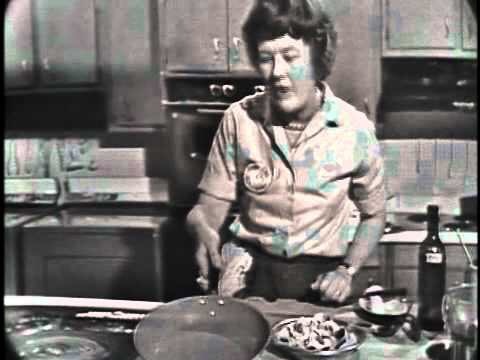 Did you know Julia Child’s very first show featured the classic French stew, Boeuf Bourguignon? It is one of my very favorite episodes and recipes! Watch it here. It’s so great! Beginning in October, I am adding “Dinner in Burgundy” to my EatWith Fall/Winter offerings, and few dishes suit the season better than Boeuf Bourguignon. As with many classic French recipes, good stock is an essential element of Boeuf Bourguignon. 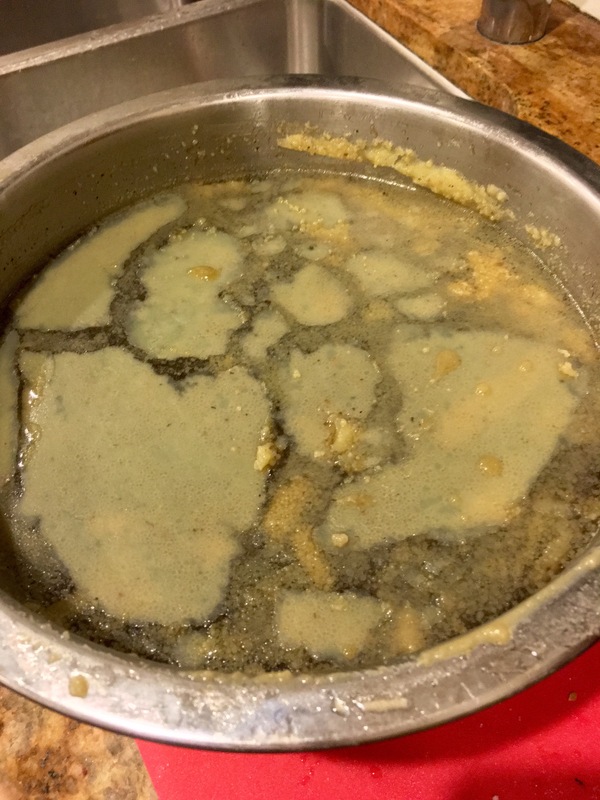 Luckily, beef stock is easy to make! You end up with a far superior, healthier product when you make your own, and you will save a lot of money as well. I am going to walk you through the steps. 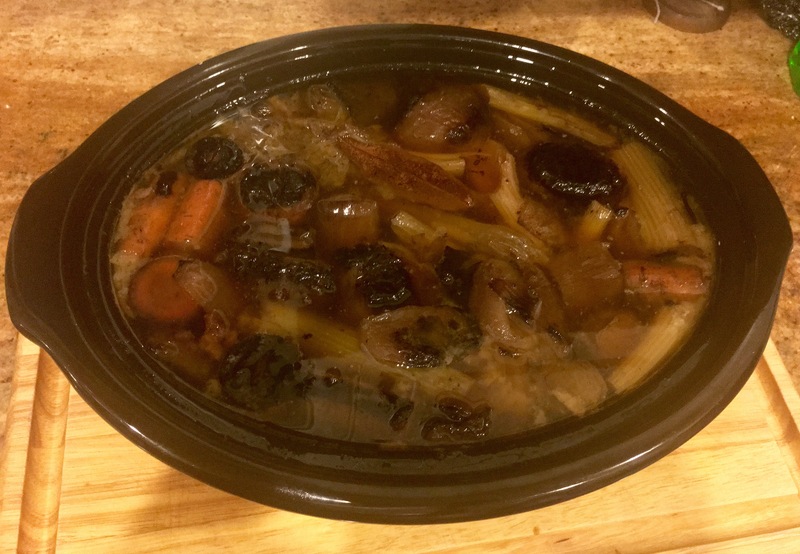 I use a slow cooker (the best invention ever for making stock and a lot of other things!). For stock, I use my 6 qt Hamilton Beach Stay or Go cooker because the lid clamps down tight so there’s less evaporation. 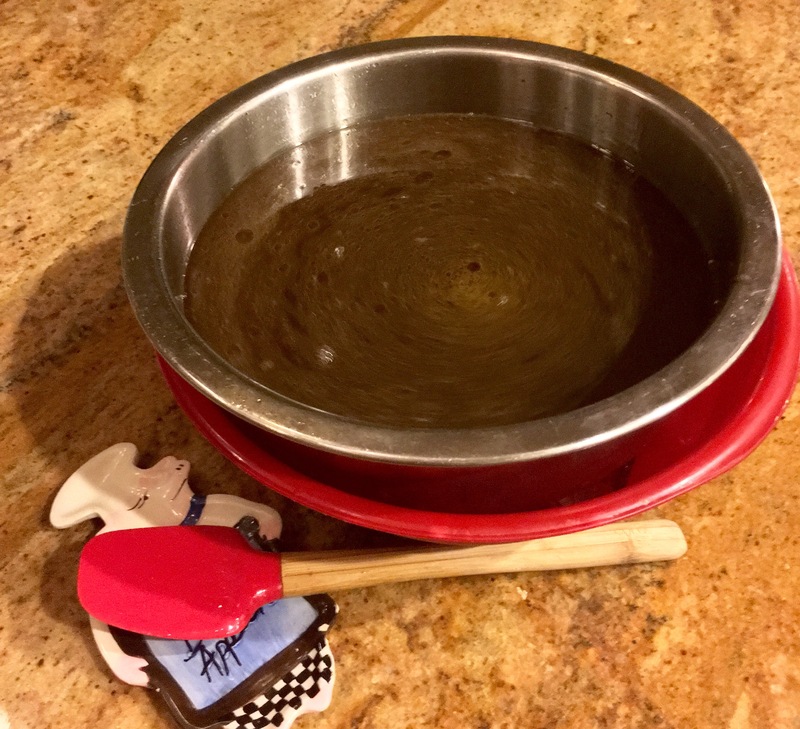 You will find the entire recipe under my Recipes tab, so don’t just follow the steps! Read the recipe! Ask the meat department at your grocery store or your butcher to save marrow bones for you. They are very inexpensive. You can also use oxtail bones. I like to use a combination of the two. As always, feel free to ask me questions. Preheat oven to 450°. 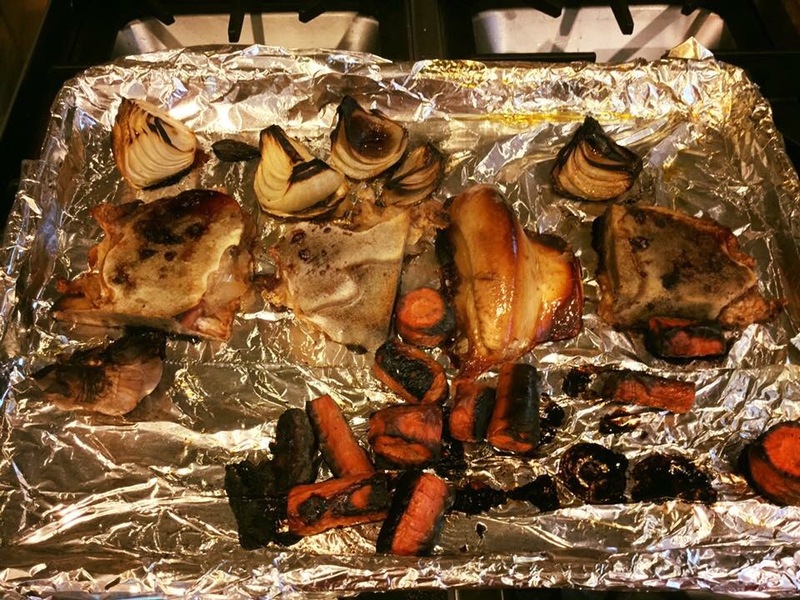 Line a heavy, rimmed baking sheet with foil. Place your marrow bones and root vegetables on the sheet. Spray or or lightly brush all with olive oil. VERY IMPORTANT! If you are canning your broth, do not use any oil! Oil can not be canned safely. Simply roast the root vegetables by themselves. Place sheet in preheated oven and roast for 20 minutes. Shake the sheet and roast for 20 more minutes. When you remove them, the vegetables and bones will be a deep golden brown. Your house will smell AMAZING! 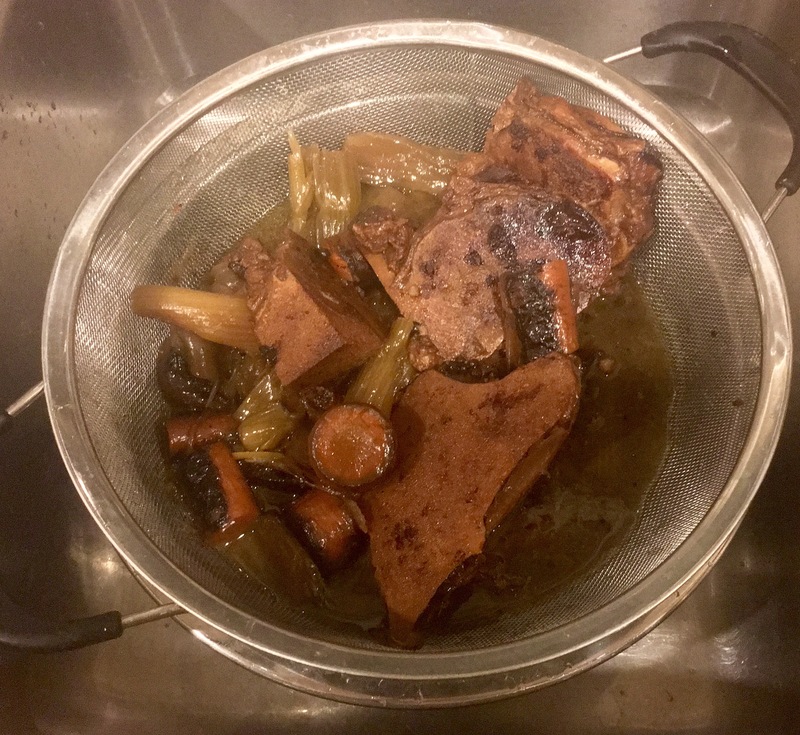 Place your roasted marrow bones, root vegetables and the remaining ingredients in a 6 qt slow cooker. Fill to the top with water, cover and set on high. After one or two hours, set cooker to low and leave it alone for 24 to 36 hours. No opening the lid! Meat stocks need to cook for much longer than poultry stock. The longer you cook them, the better they will be. A note on bay leaves: there is a difference between domestic California bay leaves (typically available in the United States) and French bay leaves. The latter is sweeter and more complex. To achieve an authentic flavor in your French recipes, use Mediterranean bay leaves. Often, they come from Turkey. That’s fine. They are still the same type of bay leaves. 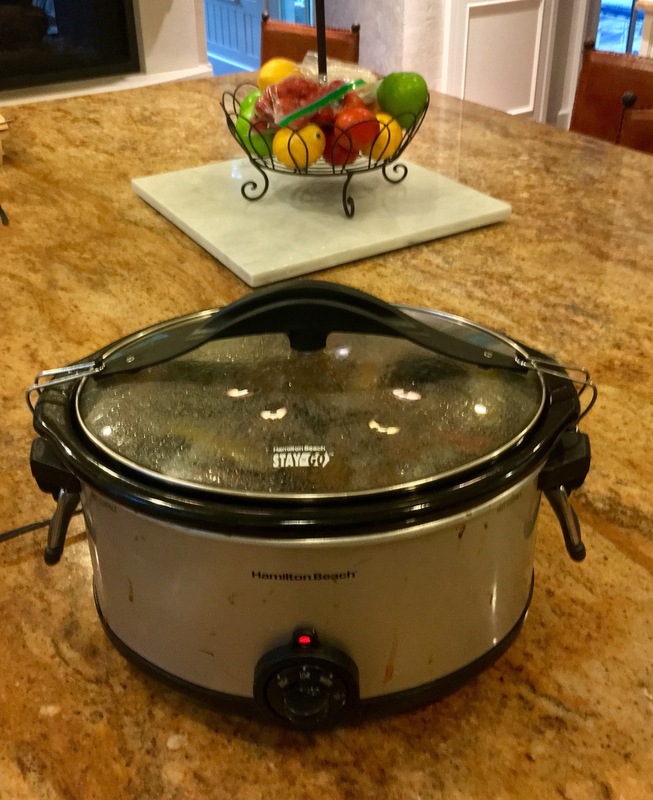 Take the crock out of the slow cooker, remove the lid and cool on a heat safe surface for 15 minutes. Strain the broth through a fine wire mesh sieve like this. If you don’t have one, you can line a regular colander with cheesecloth. If you want SUPER clear broth (I don’t worry about it myself), line a fine mesh sieve with cheesecloth. Nest the bowl strained broth in ice and stir frequently until broth is room temperature (about 15 minutes). The voice of experience, make sure the melting ice doesn’t overflow and flood your counter! Cover stock and refrigerate for six hours (or longer if it’s more convenient). The fat will solidify on the surface. Remove it with a slotted spoon and discard. While this certainly makes the stock healthier, you can skip this step if you want a richer stock. 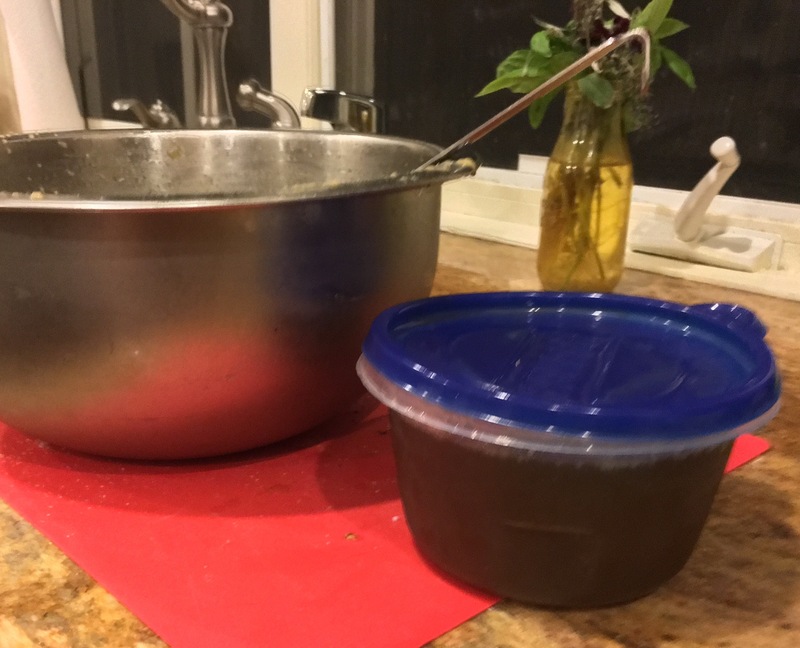 The fat will reincorporate when the stock is heated. Your stock is done! It will keep in the fridge for three days, frozen for three months or canned for one year. Canning is definitely preferred because it best preserves the flavor. It also saves precious freezer space, AND you can safely store it for up to one year. In a future post, I will show you how to can stock. It’s safe and easy to can. If I can can, anyone can can!